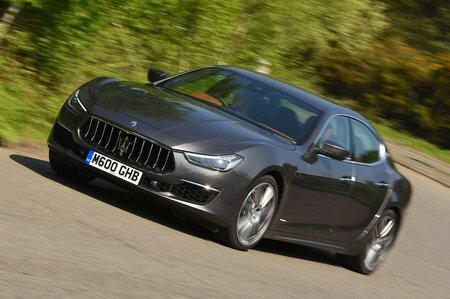 Maserati Ghibli V6d GranSport 4dr Auto 2019 Review | What Car? As its name suggests, the GranSport upgrade gives the Ghibli sportier looks. Plus, it includes Skyhook adaptive dampers, gearshift paddles behind the steering wheel and racier seats.